I found an interesting article regarding a filming gig I filmed last summer 2011. 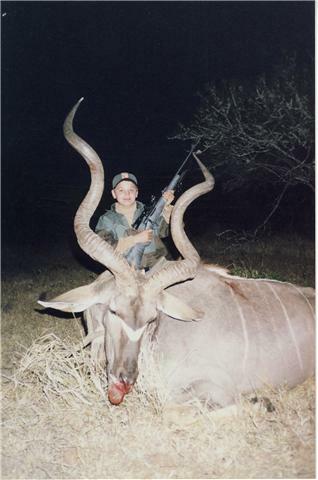 A true role model to the next generation will be outlined, noted is his message to the next generation of outdoorsmen. During my professional career as field producer and videographer, I’ve had the remarkable opportunity to meet astonishing people with messages strong and resounding. True heros of conservation, the people who have planted the metaphorical “acorns” or strong outdoor moral values in the next generation, people like the man I met this past summer during a film shoot. 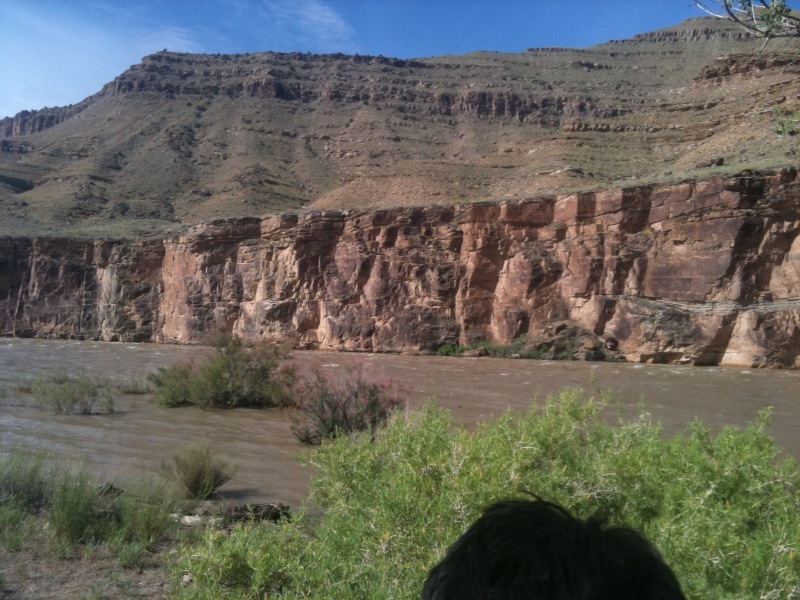 This documentary style shoot was a float trip down down the Green River in Utah, the very same river Butch Cassidy the Sundance kid took refuge to hide out from the law in classical western stories. 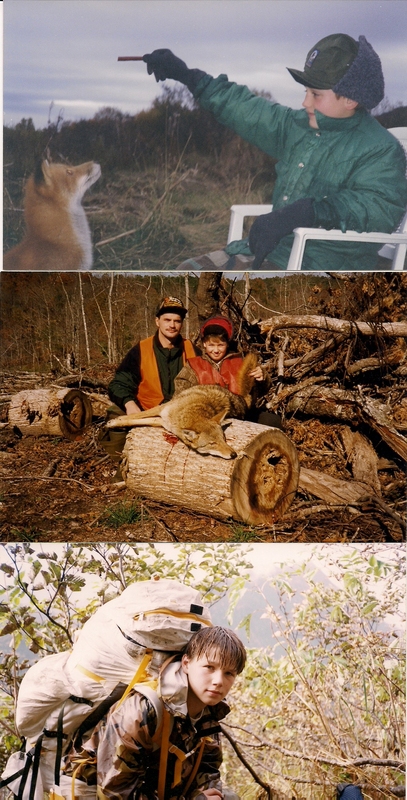 The man I speak of, Jim Roche, is the ideal role model for the next generation of outdoorsmen. 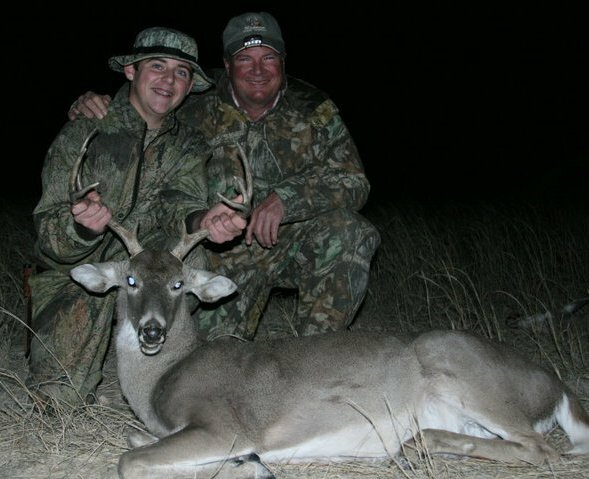 Jim a professional hunting guide and owner of Magnum Guide Service in Eldorado Texas, after years of much guideing success found new enjoyment helping boys become men through faith and the outdoors. 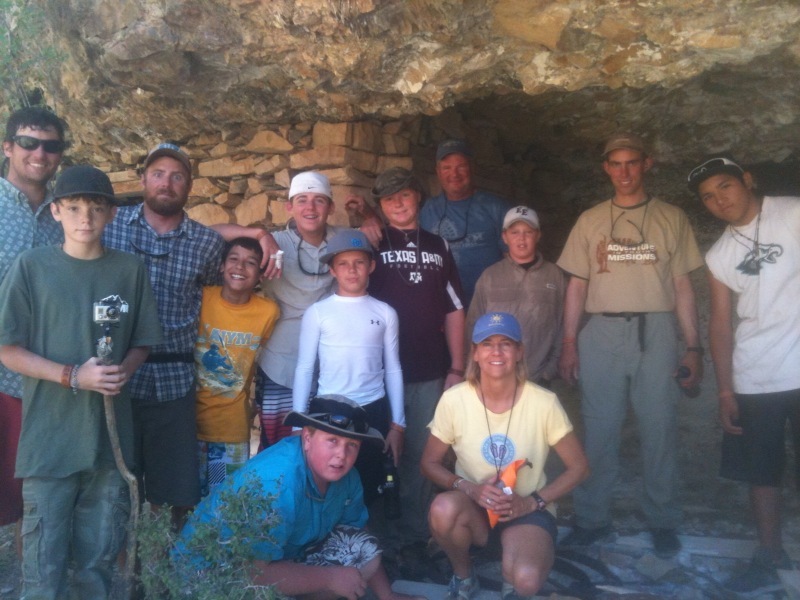 This float trip planned by Jim was a mission trip with a group of “boys” who would walk the steps of boyhood to manhood, walking the steps with Jim and Christ himself. These 12-15 year old boys/men would be completly devoted to christ during the 100 mile or so float trip, learning campfire lessons about stories from the bible. Each story had a different meaning, but all carried the same message, that message “Be a respectable, honoable man of society, who finds strength and courage through the almighty”. These men would be taught by Jim how to be sheppards of the land, good stewards of mankind. 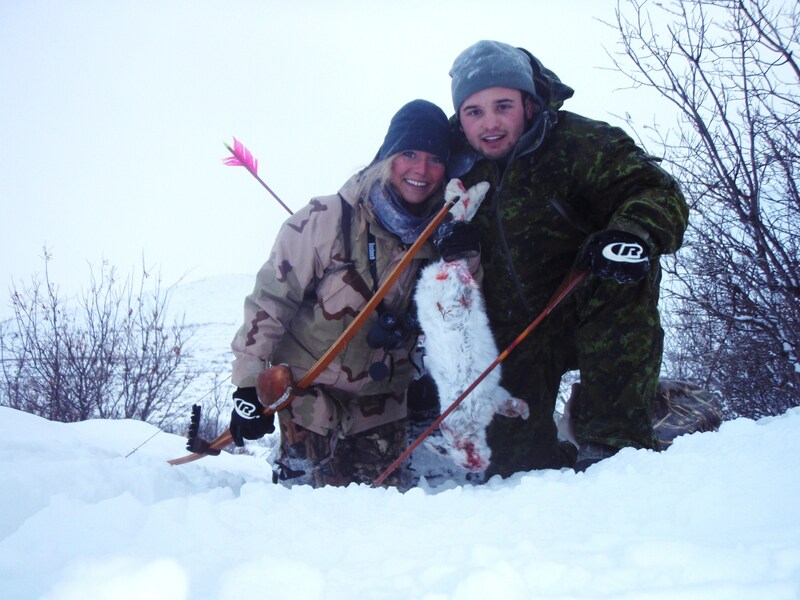 They would also learn a valuable outdoor message through the bible and Christ “One of the things that we have to realize in the Bible, especially in Genesis, God’s given us dominion over the animals and over this Earth,” Hill said. “And so we really are in charge of this resource. and one of the things that we thought was important was to also work with the young people, boys and girls just like we have today, that help them be in a situation where they can manage that resource as they get older. This trip was wildly unexpected and unanticipated, as I myself found this message to touch the roots of my christianity. I could not help but to listen to the morning devotionals by the campfire as I filmed the young men read and follow Jims thoughts through each biblical verse. I began to look at myself and how I could improve my relationship with Christ. During this week long trip, I found myself on about the fourth day taking part in all parts of the mission trip, including prayer, sharing thoughts on bible verses, and sharing my own stories. This became a very personal experience, not a work experience, I developed deep friendships with the young men around me and became one of the guys. Vid Cam Dude known as "AK"
I immediately wanted to share my knowledge of nature with these young men, they were all very interested in what I told them before we embarked on the float trip. 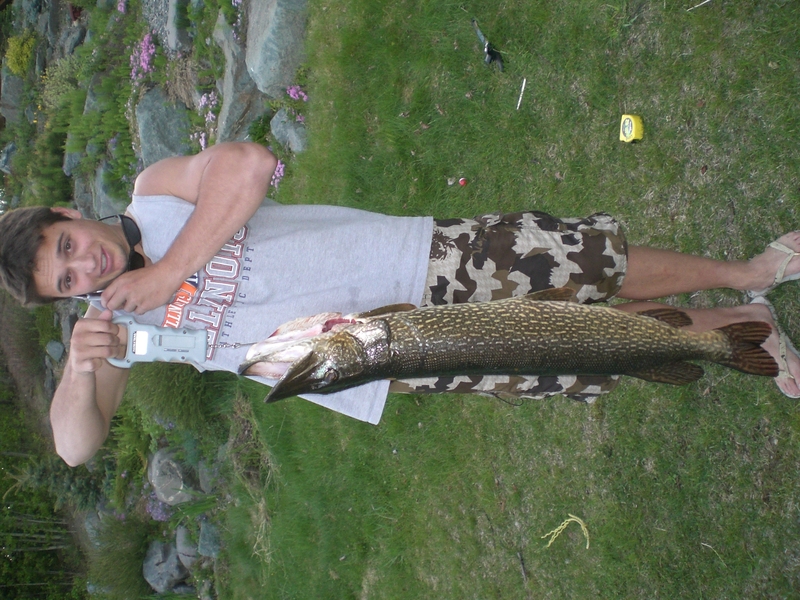 I said “grab some hooks and some line, I maybe able to teach you how to catch a fish in a survival situation”. The fourth night of the trip we ended up catching and realeasing a fistful of catfish, enough to feed the 16 or so people on the trip. We used balled up whitebread on a single weighted hook, fishing right on the bottom. We released the fish as we had enough food already reserved for the week, however we proved we could catch fish. I taught the young men how to hand-line catch fish in a “survival situation”, to be ready for anything during adventures into the wilderness. I imposed a small biblical lesson of my own, catch a man one fish feed him for a day, teach a man how to fish feed him for a lifetime. I learned a few things from these young guys myself and ended up learning more than I could possibly teach. I learned to speak more with the big man up stairs, and He discussed with me on this trip the mission of my manifest destiny. 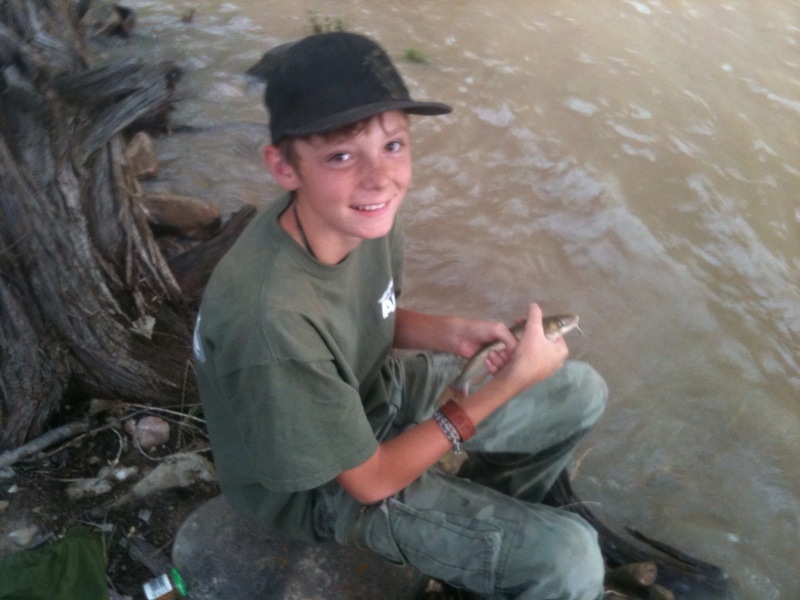 The youth and the next generation of Outdoorsmen, teach them how to become respectable honorable men who care about nature and a healthy population of animals. 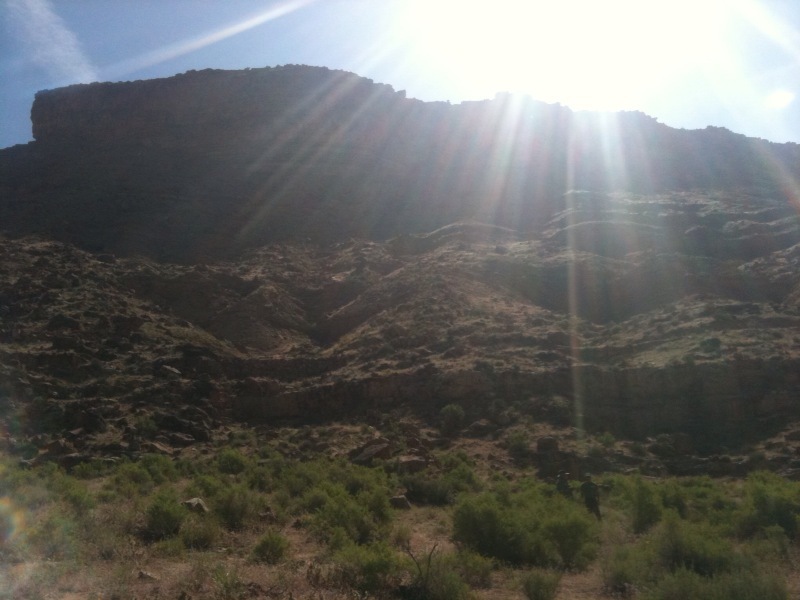 “On a mission trip to Green River, Utah, two boys accepted Jesus Christ as their Lord and savior. Surprising Roche and everyone else, a cameraman with a postproduction company in Denver knelt down and accepted Christ, too.” Short Stories for Children writes. I was hit with this epiphany like a thunder bolt from God, as I gasped for breath being pulled from the bottom of the Green River. 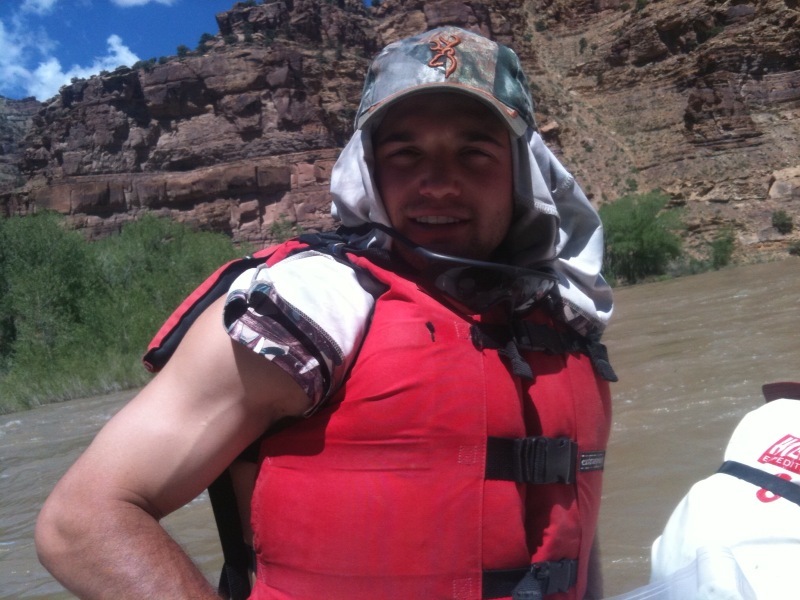 By the 6th and final day of the trip I became one of the guys, and found myself being baptized by my new buddy Blaine in a circle of men who were accepting Christ in the Green River. What a wild experience, I was convinced the entire production crew and all those involved were brought together for this very special mission trip for a reason. What each person would walk away with, was the discovery of why they were called to this Adventure in Youth Mission trip, and where they would go next. Each of these men found friendships in both themselves and with the almighty above, they would leave with the fundamental values of how to be a respectable, honorable, god fearing and loving man. These men would leave with a sense of pride an accomplishment, my new friends would leave me with an inspiring thought to encourage more youth to become men just as they. 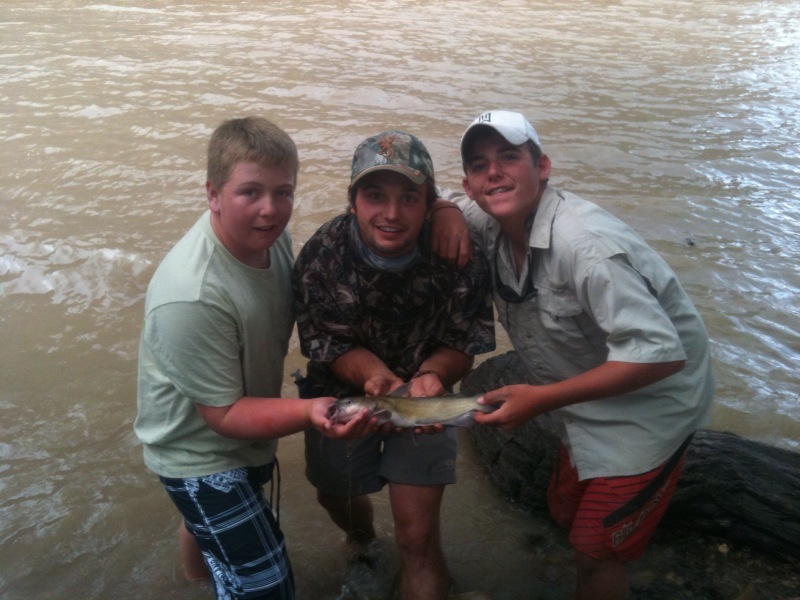 My relationship with these young men continues today, Spencer Brent pictured above is a gentlemen I met on this float trip. 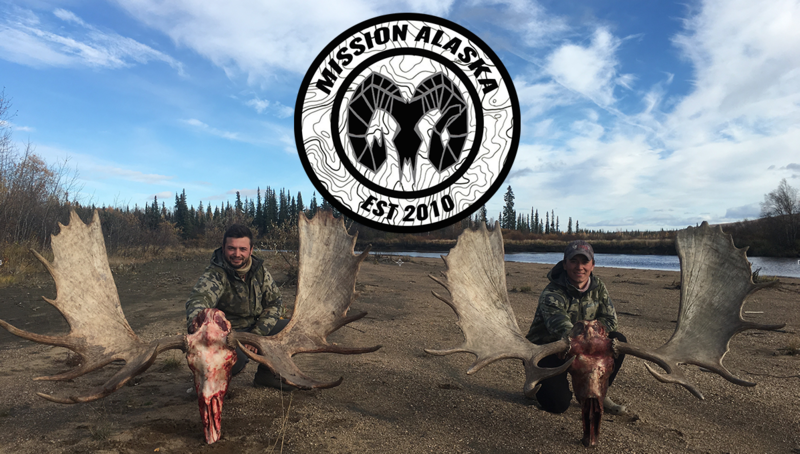 Spencer was offered a field editor position at missionak.com and will be reporting his findings in the field during the Texas hunting season. 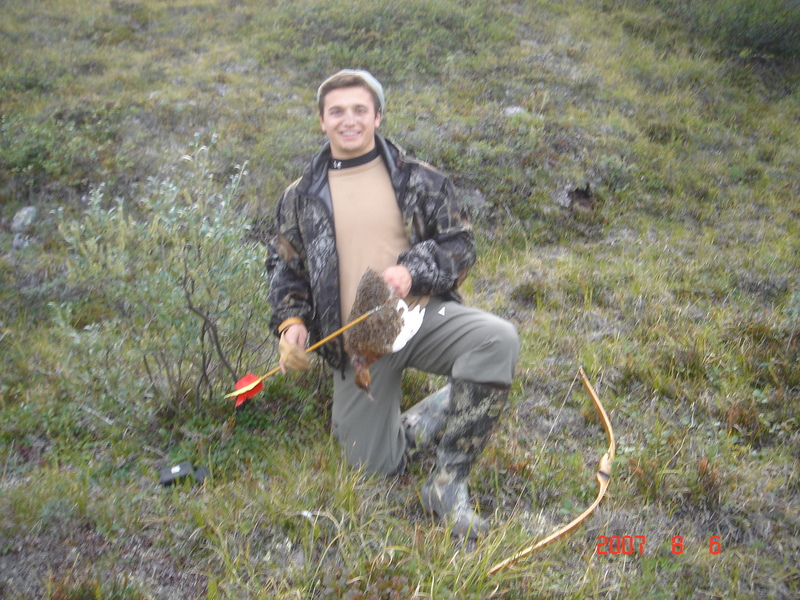 Check back for more in the field action from our field editors like Spencer, the youth has been inspired! Thanks again to Jim Roche for being such an outstanding role model to the next generation of outdoorsmen, the world needs many more of you!